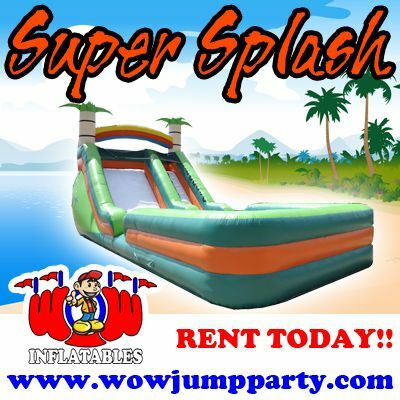 Super Splash - Our Tropical Water Slide will be great on a HOT summer days! Riders slide down onto a 15' landing area. It's 32' of slippery water slide fun.